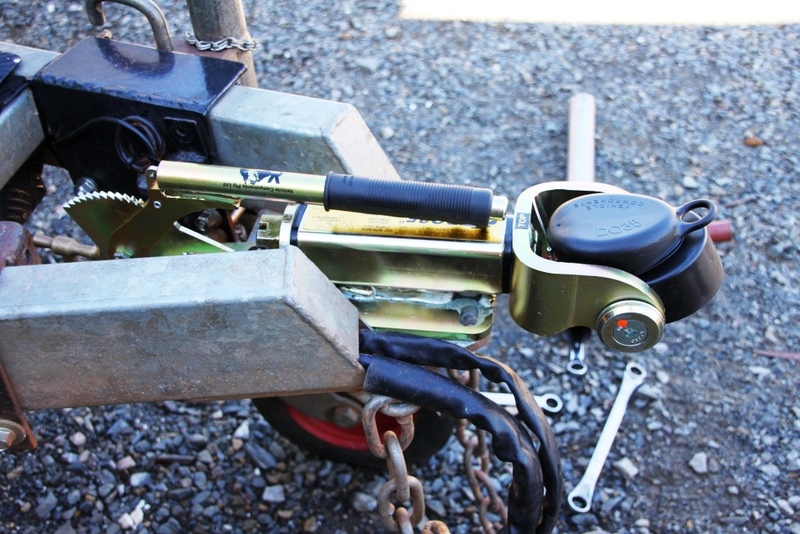 We added a new tow hitch to our travelling set up for our recent Kimberley visit…it’s the DO35 Hitchmaster from Aussie based company, Vehicle Components. 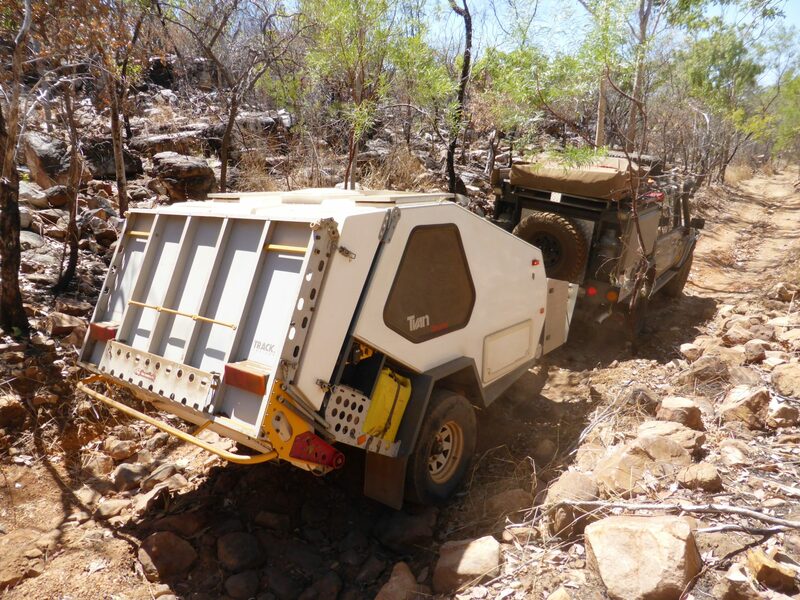 There’s probably no better place than to give the hitch a good workout than in the Kimberley region, but in particular, this review will be from when we travelled the Munja Track with our new vehicle and trusty Tvan, as it’s one of the rougher tracks we travelled on this trip. The fitting of the D035 was to replace our existing hitch on our Tvan. 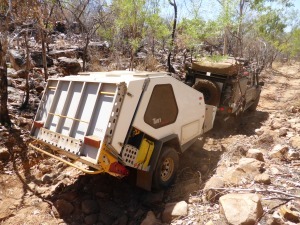 Whilst our existing hitch had great articulation, it’s an absolute pain to align and disconnect/reconnect on uneven ground, and even worse when covered in the elements the Kimberley region throws at your equipment. So fitting up the DO35 Integrated handbrake model one Saturday morning was a breeze – it was a simple bolt on, bolt off process. 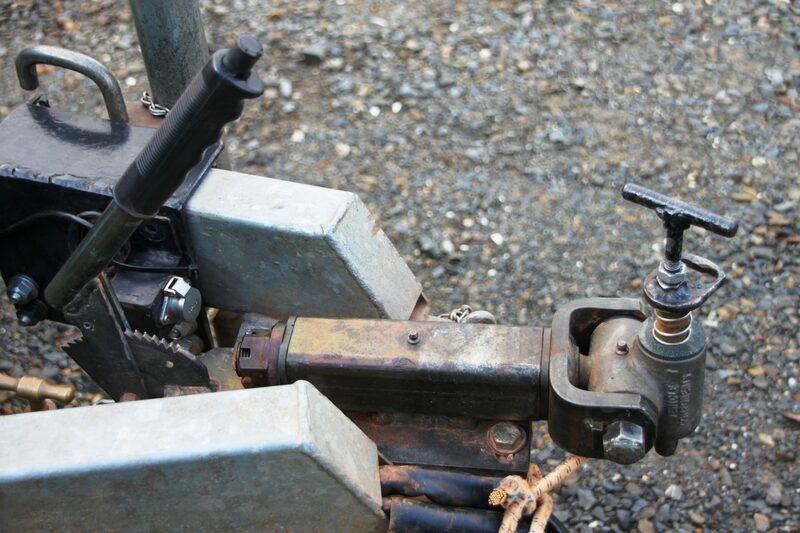 The hitch pin to the receiver was similar as it was a simple fit up using the special G-Spanner provided. Once all bolted up, it was time to connect the Tvan to the vehicle; and with use of the reversing camera, it was so simple. 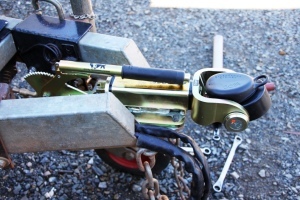 Its tolerance for the tapered pin and cone entry point meant there was no need to be pushing or pulling the Tvan…in fact it was simply just lower the jockey wheel and it self-aligned…brilliant! Happy with the set up connection at home, it was time to hit the road and make our way to the Kimberley. On the bitumen there was no movement, even when under hard braking at 110km per hour there was absolutely no noise or shunting movement – another big tick! Stopping at a couple of caravan parks on our way, we were impressed with the speed and ease that we could disconnect. I could be heard singing its praises like “do you know how much I love this hitch”! But its real test was yet to come…leaving the blacktop and getting on some dirt roads, we were interested to see how it would work. We were also keen to see with some dust and a few water crossings, mud, sand and grit, just how the slide mechanism would stand up. Again we were impressed that the dust seal provided is first class. I was amazed how all the other components around the A frame hitch area were covered with Kimberley red dirt and dust, but under the dust cover, it was as clean as a whistle. 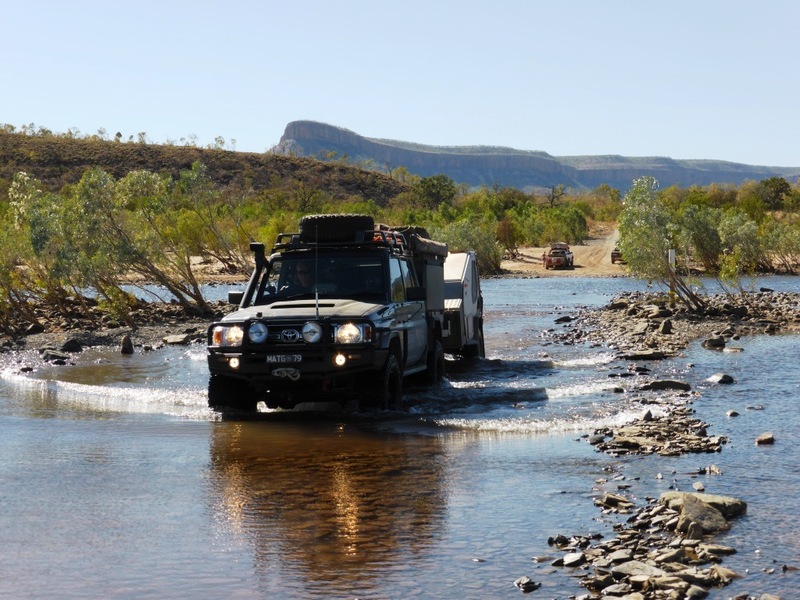 The Kimberley’s Munja track had everything – jump-ups, rocky tracks, corrugated tracks, water crossings, fine powder dust, sea water creek crossings, and white fine beach sand. The ramp angles in and out of crossings on this track are so tight that at times the hitch was put under massive downward twisting forces, but came away unscathed. So some 12,000km later, and mostly on dirt roads, we can say we are still singing its praises. It’s clever, it’s fast, and uneven ground hitching is a breeze due to the cone entry and full 360 degree swivel…it just works! Our score is 10 out of 10, (did I tell ya how much I love it)!